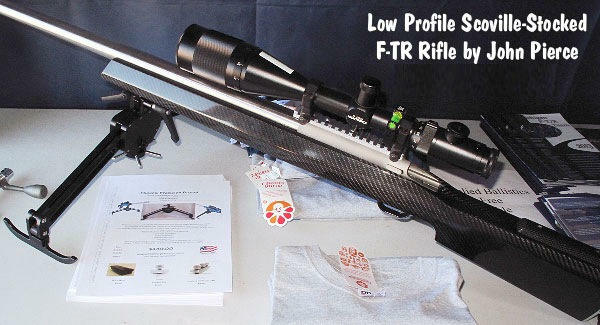 One recent trend in F-TR competition is the use of low-profile, benchrest-type stocks shot with a light hand-hold and little or no face contact. For this method of F-TR shooting to work, you need the right equipment, and practice a “minimalist” shooting technique. 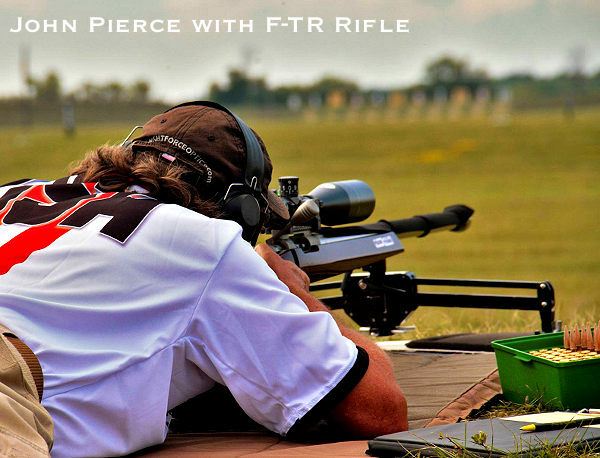 One of the pioneers in this style of F-TR shooting is action-maker John Pierce of Pierce Engineering. Above you can see John shooting one of his F-TR rifles at the 2015 Canadian F-Class Championships. Note the straight-line stock and see how the adjustable bipod is set quite low to the ground (in fact the bipod’s arms are almost straight out). 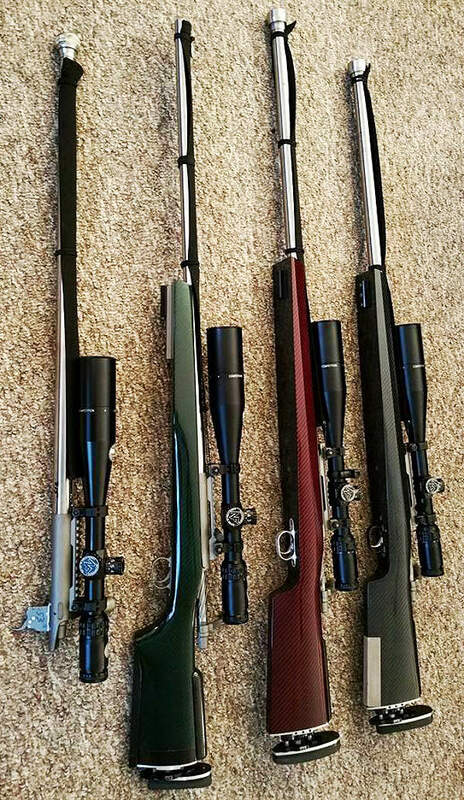 Shown below are three complete Pierce F-TR rifles, along with a barreled action for comparison. The carbon-fiber/composite stocks are built by Bob Scoville. These Scoville stocks are very light, yet very strong and very stiff. Share the post "F-TR Tech — the Low-Profile Solution Pioneered by Pierce"